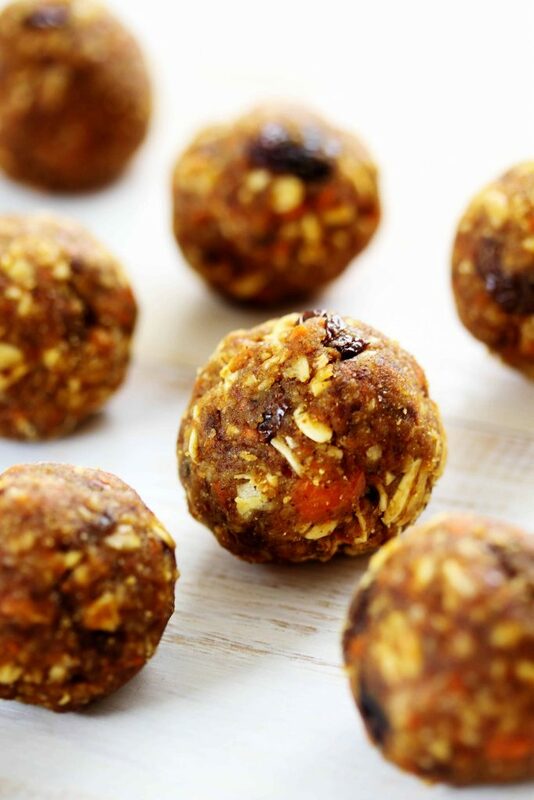 Enjoy all the flavors of a carrot cake shrunk down to a bite-sized energy ball! 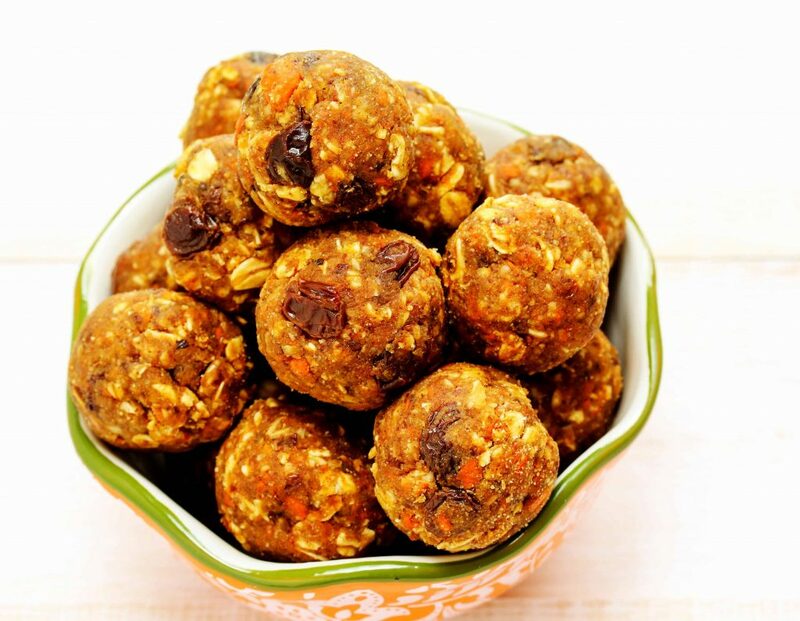 Full of carrots, raisins, and almond butter, these treats will keep your tummy full and your mouth happy! Plus, each bite has less than 1 gram of added sugars! Easter is right around the corner, and whether you celebrate it or not I think we can all enjoy the carrot cake overload that comes with it! Carrot Cake is to Easter as Pumpkin Spice is to Fall. Everything gets a carrot cake twist – candies, ice cream, donuts. When is Starbucks coming out with Carrot Cake Lattes??? 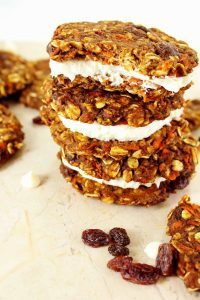 As I sit here writing this and sipping my boring, non-carrot cake coffee, I’ll just make up for it by snacking on these chewy, two-bite sized Carrot Cake Energy Bites! I like to think of them as the pocket-sized version of a whole carrot cake. 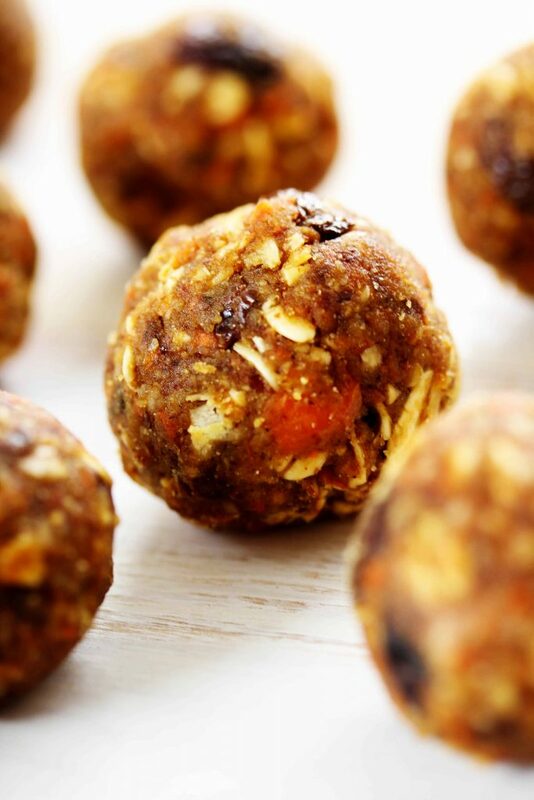 They’re full of similar ingredients – carrots, spices, almonds. But are lacking the refined flour and sugar. Instead, whole grain oats are used which helps with the chewy-ness, but also adds fiber. 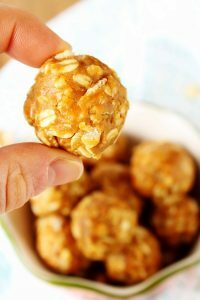 And, a little bit of honey adds a touch of sweetness, but still keeps the added sugar down to less than 1 gram per ball! These scrumptious little morsels were inspired by two of my most popular recipes – my Vegan Carrot Cake with Cream Cheese Frosting and my Crispy Peanut Butter Balls. I basically just mashed the two together and the end result was what will sure be your next go-to quick treat! Give them a try and be sure to tag me @HealthyHacksRD if you make them! Blend until everything is well incorporated and sticks together. Roll about 1 Tbsp of the dough into a ball. If it's too sticky to handle, place it in the fridge for about 30 minutes. Once all the dough is rolled into balls, place them in the fridge until firm (about 10 min). Enjoy your bite sized carrot cake or pack them up for an on-the-go treat! These look great Kaylie! I will have to try them for the kids and I! Have a great weekend! Thanks, Katherine! I hope you and the kids like them! They're perfect for busy weekends ;) Hope you have a great weekend, too! 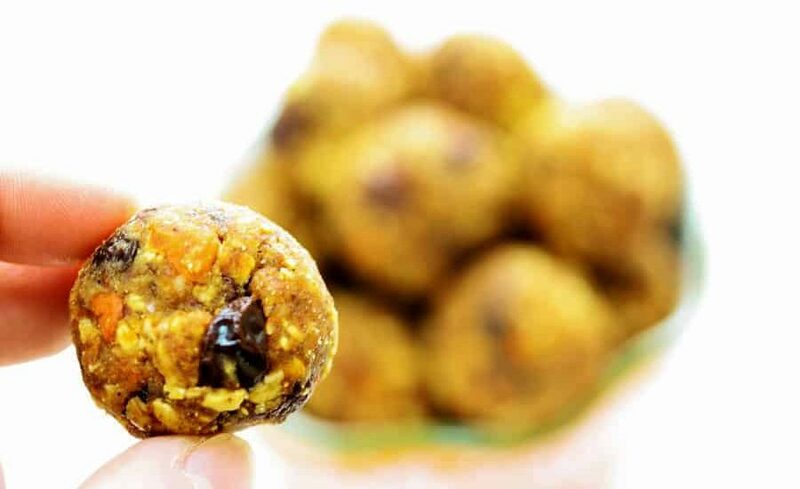 I love energy bites! These ones look extra delicious. Bookmarking this baby!